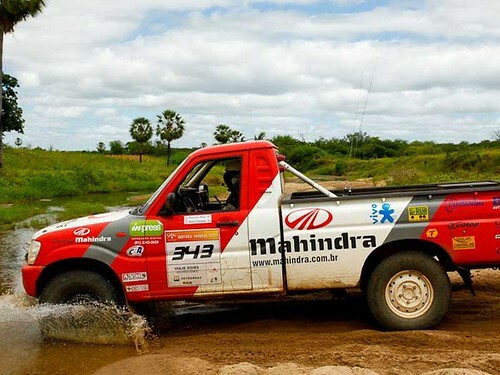 Una Mahindra PikUp cabina simple salió en 3er lugar en la categoría "producción" en Brasil. 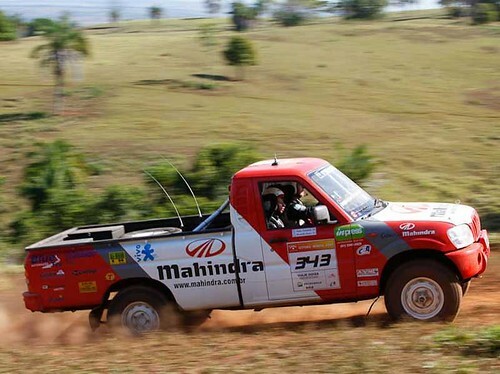 Indian utility vehicle major Mahindra & Mahindra just got a shot in the arm when one of its Scorpio pick-ups did the unthinkable - take third place in the production category of the tough Rally dos Sertoes in Brazil, racing against the might of the Mitsubishis, Fords and Chevrolets. Yo estoy feliz, esa es mi camio! Mira, con el pasar de los meses ya no la encuentro tan fea. 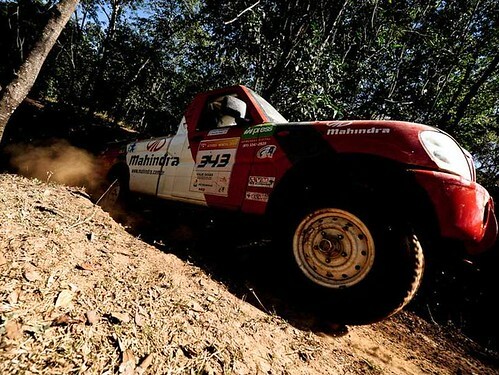 Pero lo importante acá es que me gusta lo que esta haciendo mahindra, al construir vehículos carne de perro como antes, a un precio bajo, pero con tecnología en el motor. Creo que va a ser un buen aporte a la comunidad 4x4 al disponer vehículos nuevos que no duela tanto aporrear. Espero que le vaya bien en el mercado, para que sigan creciendo y mejoren sus diseños, pero siempre teniendo como norte el no perder la esencia de un 4x4 haciendo jeeps mamones como muchas otras marcas lo han hecho. 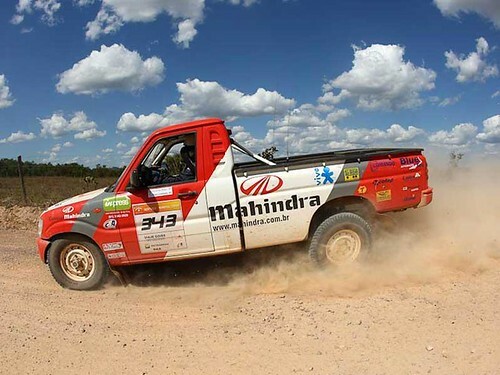 Yo aposté a mahindra comprando una cami doble cabina, y cada vez que la saco a la tierra, la ensucio, abollo, rompo el parachoque, rallo, etc. lo paso tan bien sin cargo de conciencia... algo que no podría hacer con la Hylux o la Catana que me gustaría tener. 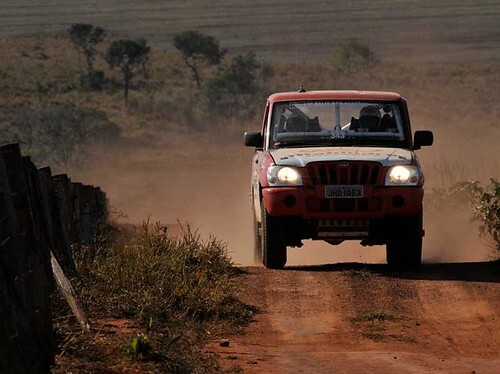 Mahindra has created a path-breaking record at the Rally dos Sertoes in Brazil, which is considered to be one of the world’s toughest rallies. 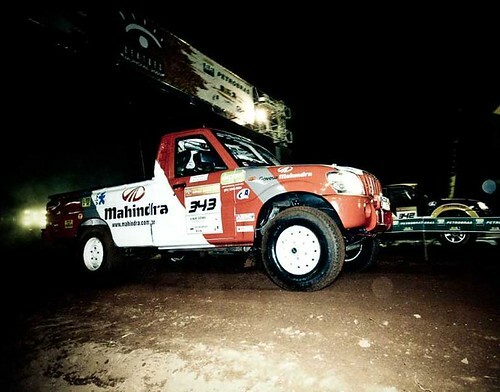 The Mahindra Scorpio Pick Up, piloted by Brazilian motoring enthusiast Ricardo Augusto de Souza Campos, delivered an exceptional performance, securing third place in the T2 category for cars and pick ups. The T2 category is for cars that have not undergone a great deal of modification. 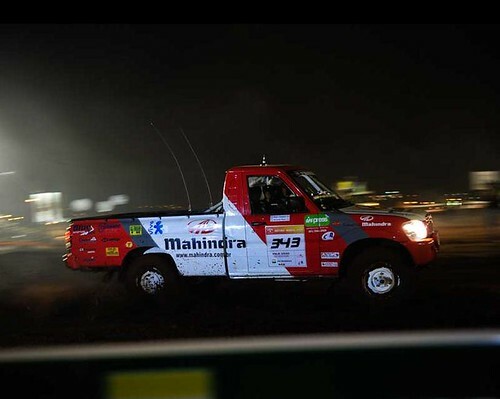 The vehicle sported a trendy red and white look, echoing the Mahindra corporate colours. The Scorpio Pick Up was kept almost stock aside from the required safety and structural modifications demanded by the regulations. 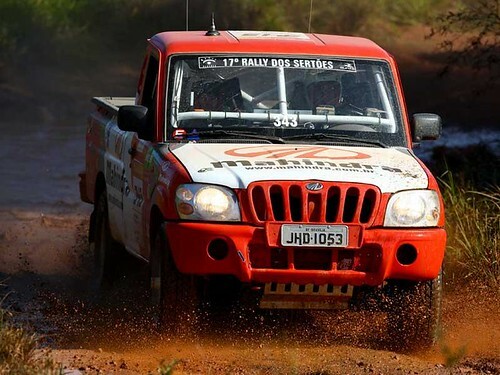 Some of the modifications made include an FIA safety roll-cage fitted along with special rally seats, snorkel air intake, sump and transmission guard, plastic windshield, electrical safety gear along with a host of navigation and rally aids, as well as radio and GPS systems. The chassis was strengthened at key points, as mandated. The only addition which differed from standard specifications was the fitment of rally shock absorbers which the T2 regulators permitted. A larger 220-litre fuel tank was mounted in the load bed. La franja horaria es GMT -3. Ahora son las 19:37:34.